What is Pet Gear Extra Wide Easy Step II Pet Stairs? The Pet Gear Extra Wide Easy Step II Pet Stairs have wide, deep steps, which makes getting on tall furniture easy for larger pets. The innovative incline reduces the amount of stairs your pet needs to reach his or her destination, and the carpet tread gives each step traction that makes your pet feel comfortable. 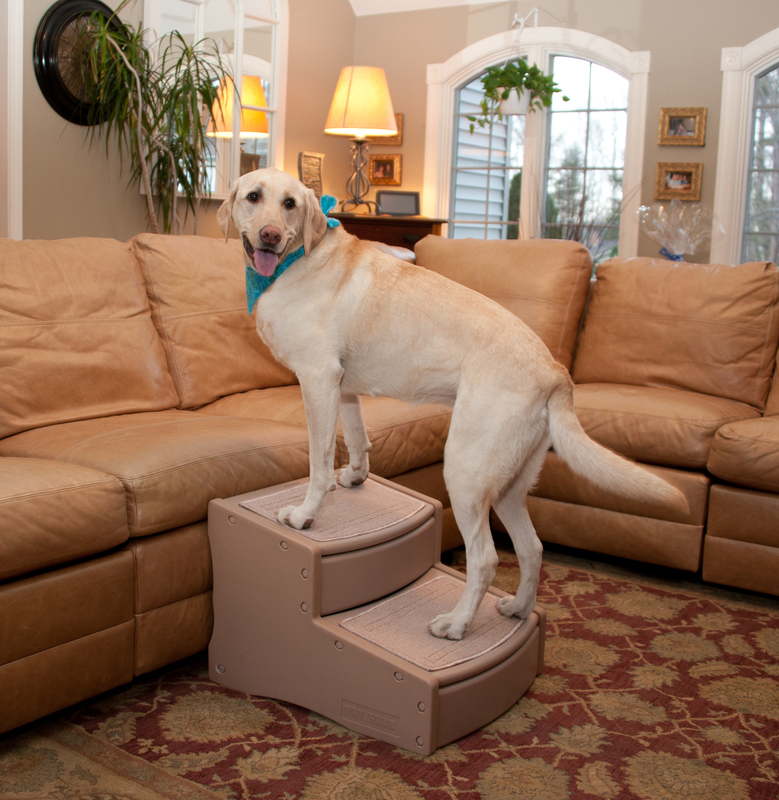 The Pet Gear Extra Wide Easy Step II Pet Stairs are great for pets with joint issues, or those post surgery. 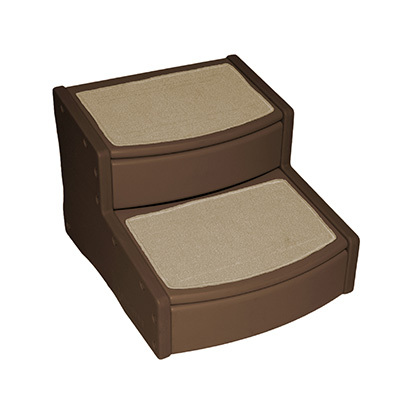 Plus, with colors of chocolate or tan, the Pet Gear Extra Wide Easy Step II Pet Stairs match most home decor. If you have a larger pet with joint problems, or a pet post surgery, the Pet Gear Extra Wide Easy Step II Pet Stairs help him or her climb onto furniture easily. Since the steps are so wide and deep, they allow your pet to rest his or her entire body weight during the climb; thereby, reducing the strain on joints and muscles. The Pet Gear Extra Wide Easy Step II Pet Stairs have rubber grippers on the bottom, and a carpet tread on each step for sure footing. Plus, the stairs easily snap together, so there are no tools required. The Pet Gear Extra Wide Easy Step II Pet Stairs require no tools for assembly. Move your Pet Gear Extra Wide Easy Step II Pet Stairs in front of any piece of furniture in your home. When not in use, store your Pet Gear Extra Wide Easy Step II Pet Stairs in a corner or on a shelf, away from children and pets. 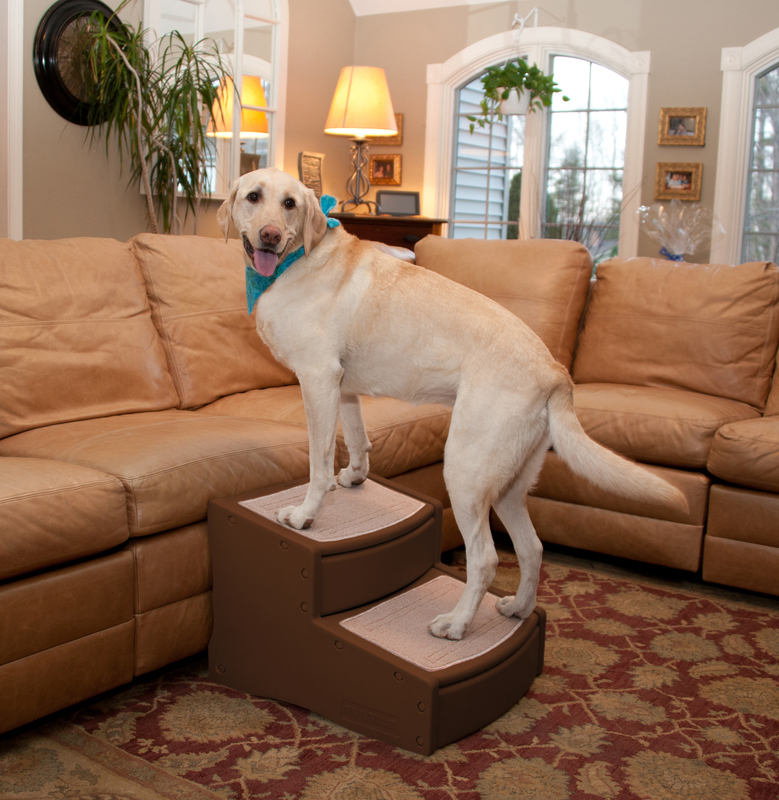 Pets that are used to jumping on furniture may be a little hesitate to try the Pet Gear Extra Wide Easy Step II Pet Stairs, so try using a treat to coax your pet onto each step until he or she makes it to the top. Step height:6",Top step depth:12",Bottom step depth:11"